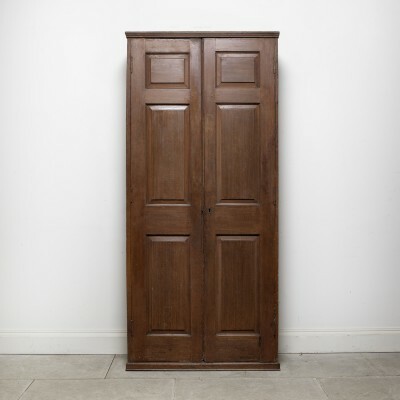 Late 18th grained pine cupboard with fielded panel doors circa 1780. 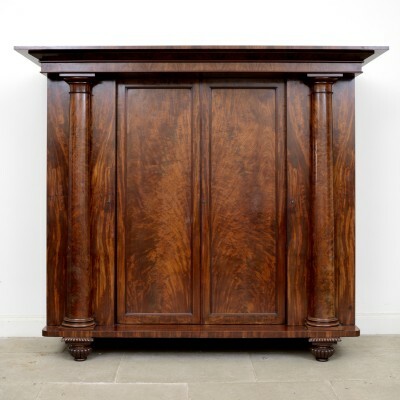 Date Circa 1780 Provenance Ardgowan House, Scotland. 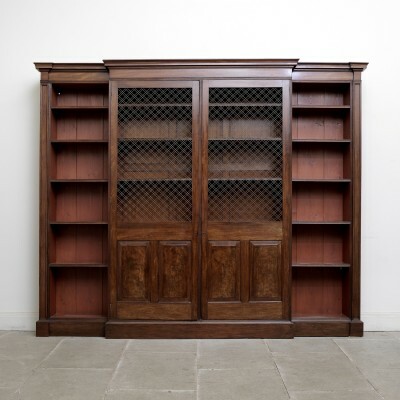 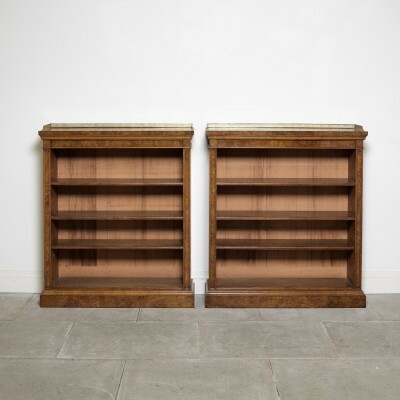 Early 19th mahogany breakfront library bookcase with interesting grill doors, panelled ends.